Remember when phones were getting smaller? Ah, those were the days. Acer just announced the Liquid S1 at Computex in Taipei, and it's got a massive 5.7-inch screen. It doesn't quite have the high-end specs of some other giant phones, but this device could appeal to a niche consumer. The Liquid S1 is a 720p device, despite the screen being on the large side. As such, it won't be as crisp as some other devices. 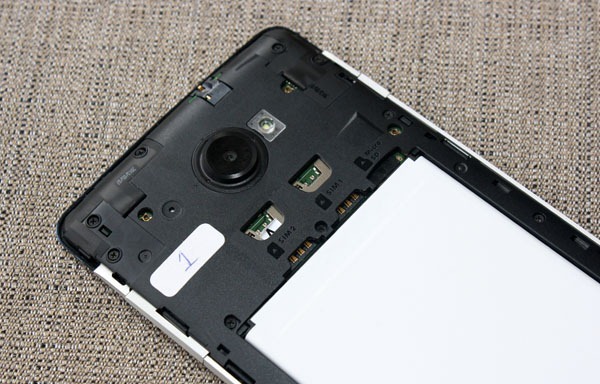 Inside, the S1 has a Mediatek quad-core 1.5GHz processor, which is a budget-oriented ARM chip. There is only 1GB of RAM and no LTE radio. It does, however, have dual SIM slots. That's very important in some markets. The battery might be a bit worrisome considering that big LCD panel – it's only 2400mAh, but is removable. 8GB of built-in storage is backed up by a microSD card slot for up to 32GB of additional space. 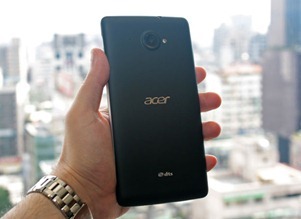 Of particular interest is the software on Acer's new phone. 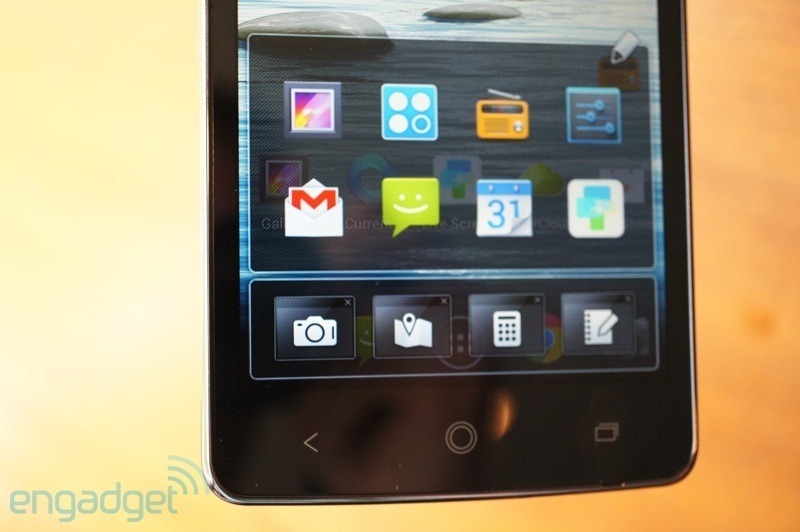 The Liquid S1 runs Android 4.2 with almost no modifications. 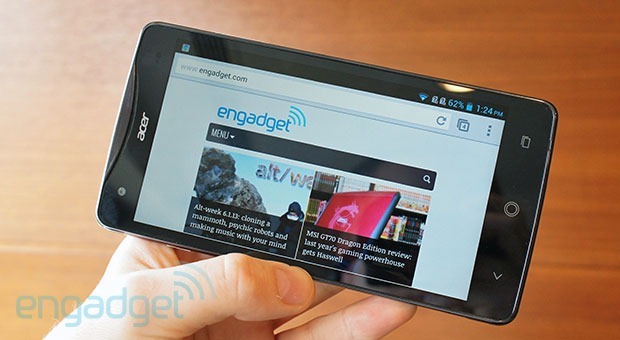 Acer does have a few extras built-in, like floating widgets, profiles, and some camera customizations. The buttons are not on-screen, but correspond to the Google-preferred arrangement of back, home, and multitask. The Acer Liquid S1 will be released in France, Belgium, Netherlands, Ukraine, Russia, UK and Germany in Q3. The price will be €329, or about $427. Full PR below. 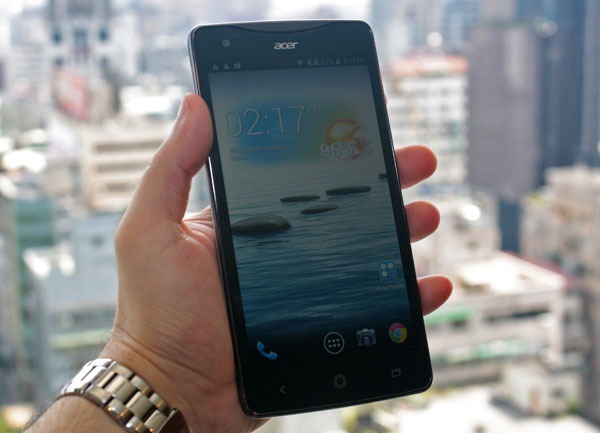 TAIPEI, (June 3, 2013) Acer announces its first "phablet" device, designed to be the new travel companion for professionals and adventurers alike. With a large 5.7" HD 1280 x 720 screen and intelligent applications, the Acer Liquid S1 greatly enhances mobile productivity and entertainment. Featuring single/dual SIM cards, Android 4.2 Jelly Bean, quad-core 1.5 GHz processor, and a day's worth of battery power, the Liquid S1 combines the work efficiency of a tablet PC with the convenience and multimedia-rich features of a smartphone. It is an all-in-one mobile device that opens up more possibilities for users to communicate and explore. The Liquid S1 is easy to carry and lets users access their documents and files wherever they go. Business people can leave documents behind, knowing that they can wirelessly retrieve their files via AcerCloud Docs. Users can also remotely access files from their main PC through Acer Remote Files. In addition, with the Liquid S1 businesspeople can project their presentations in 720p HD, and print documents straight from their phablet - all using wireless display and print features. Intuitive and useful applications that boost work productivity and maximize entertainment on the go are preinstalled on the Liquid S1. Acer Float User Interface allows several app windows to stay open so users can multitask without having to back out of one app to work on another. The press of a key brings up the Float Apps shortcut; apps on a translucent screen float over the function being used. It is easy to access or switch Float Apps anytime. These apps include camera, maps, calculator and notes. A Float Caller notification ensures that users will not be interrupted by incoming calls that take over the full screen. When a call comes in, the Float Caller mini-window pops up and the user can choose to take the call or reply with a quick message. Acer Auto Profile supports predefined network settings for frequently visited locations, so the next time the user visits the same spot, the Liquid S1 will automatically switch profiles. The adjustable settings include brightness, volume and vibration; plus Bluetooth®, Wi-Fi® and 3G connections. 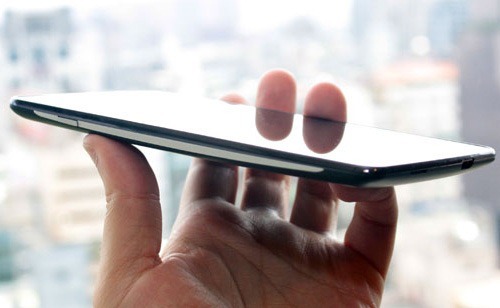 Voice Unlock directly opens apps or interfaces by recording and using personal voice commands. Users can quickly unlock the Liquid S1 to the home screen, camera, SMS or call keypad by voice, in one easy step, without touch. Acer data traffic manager keeps an eye on daily and monthly data usage, which is especially handy for users who do not have an unlimited data plan. Wide Front Shot uses the front camera with 88° wide viewing angle plus the 24 mm lens to capture more. The camera and 5.7" screen together capture wider, taller visuals for better wide-angle photos and video conferencing. Voice Shot allows hands-free photo taking just by saying "cheese!". Smile Shot detects smiling faces and automatically captures precious moments in real time - especially useful for taking pictures of babies and young children. Studio Sound delivers astonishing sound and an extra-wide stereo image. DTS Studio Sound™ brings cinematic audio to mobile devices with a bigger sound field and higher vocal clarity. Live sharing among friends Through Acer's 2-way Live Screen™ app users can invite friends for temporary group sharing. The group administrator simply taps on a photo or note, and it will pop up on friends' mobile-device screens, enabling live interaction and sharing in real time. Friends can push photos or notes back for 2-way live sharing. The Acer Liquid S1 uses fine craftsmanship and materials to deliver a premium, minimalist design, ideal for assertive businesspeople and passionate explorers. With a slender profile, it features curved details on the front and the sides, aluminum side grips, and is available in matte black or white.